You may have seen many Black, Chocolate and Yellow Labradors but not the one we are going to discuss today and that is the Golden Labrador Retriever. As we know that there is another dog breed exist with the somehow similar name and characteristics called Golden Retriever. 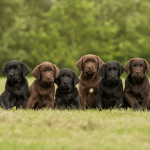 There are only three registered Labrador colors, Black, Chocolate, and Yellow. But there also exist other variations like silver, fox-red and white. So slightly different shade of yellow can give rise to Golden color, hence called Golden Labrador. Golden Retriever is another breed of dog. They share many similar characteristics like both are energetic, friendly and family dogs. 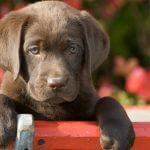 Labrador Retriever is the most popular dog breed in the USA. German Shepherd at the second number and Golden Retriever at the third number. 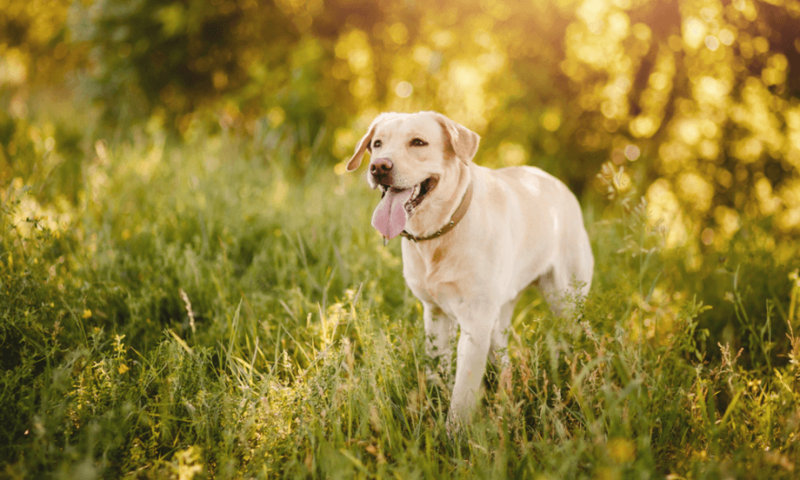 What is a Golden Labrador? Is Gold a Registered Labrador Color? 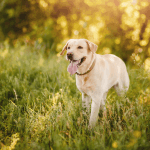 Golden Labs are just like other Labrador Retrievers with the only different color. The golden color is a darker shade of Yellow. Although gold color is rare in Labradors, but they can be produced, if yellow labs are selectively bred. The yellow color comes in different shades varying from creamy white to dark red. In between is a gold color. So, a labrador with a deeper yellow color is referred to as the Golden Lab. 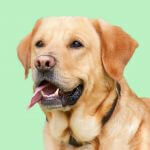 But this term is not widely used, breeders like to say them as “old yellow labs”. Golden Retriever is a famous breed of dogs. They have a history started from Britain in 1800s. 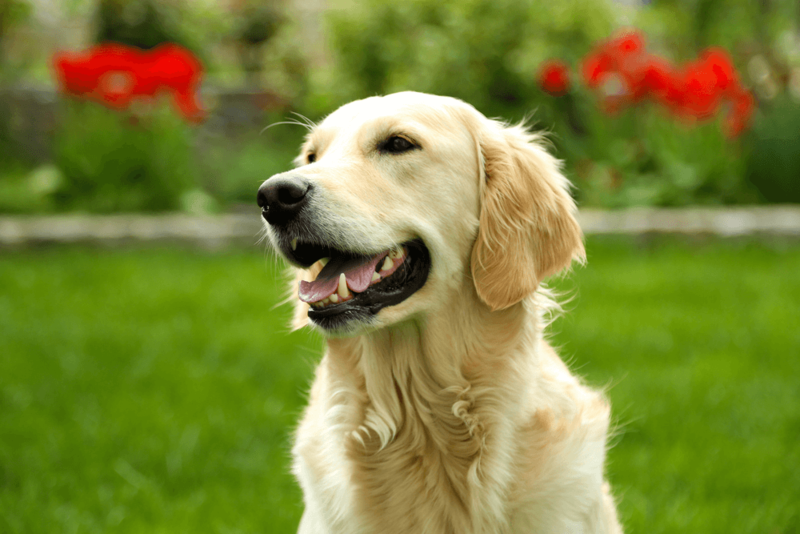 It is believed that Golden Retrievers have the same ancestors as those of Labrador Retrievers called St. John’s Dogs. Labrador Retriever and Golden Retriever are two different dog breeds. Labradors have shorter hairs as compare to Golden Retrievers. The second major difference is color, Labs have three registered colors and their different shades while Golden Retrievers have the gold color. Apart from some differences they are same like both are friendly and family dogs. Both are energetic and highly trainable. Due to much similarity, these two breeds are often confused with one each other. Although both share the same ancestors called St. John’s Dogs but these are categorized as two different breeds. If you want to buy a golden lab, then you don’t need to worry because the gold color is registered by the AKC under yellow color. These are not registered under gold color because this color is not separately recognized. So, your lab will officially known as “yellow Labrador”. But the condition for registration is the dog must not have dilution gene and should have all the standard characteristics of Labradors. The pure yellow color in labs is rare because it is the result of two recessive genes and gold color is rare than the yellow because it is the dark variation of yellow. 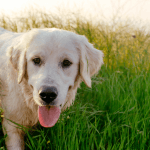 Cross between Golden Retriever and Yellow Labs can produce Golden Labradors but the problem is that, they are not considered as pure bred and not registered by kennel clubs. 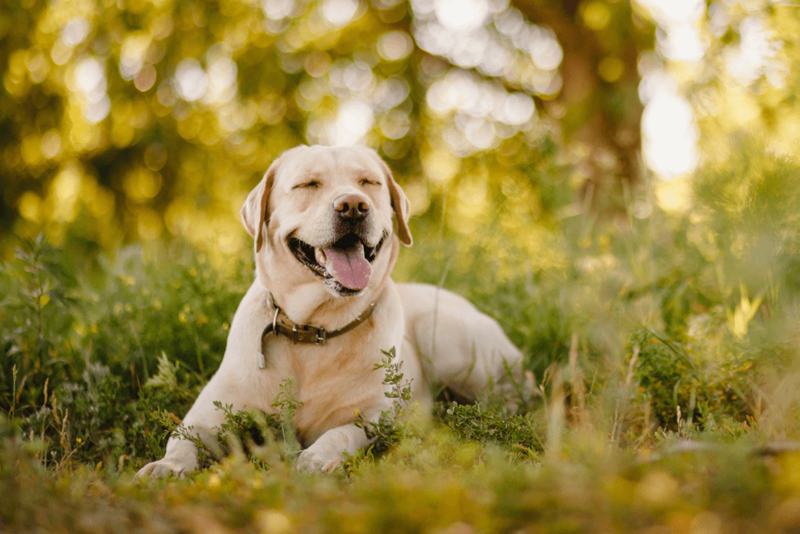 The dogs produces as the result of cross will have characteristics of both breeds, mean color of Golden Retrievers and some qualities of Labrador Retriever. Genetically deeper yellow color i.e gold color can also exist in Labradors due to two recessive genes which produce the yellow color. The yellow color is the result of two recessive genes (ee). Although crossbreeding between two recognized breeds in not allowed but it was being performed when these breeds were not registered by the kennel clubs. 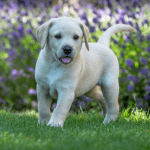 Pure golden labs are hard to identify from those which are produced as the result of crossbreeding but they can be recognized by checking pedigree record and breeders popularity. Although all colors of Labradors have the same characteristics because they share the same ancestors. But Golden Labs have some characteristics different from other colors. Their Body is muscular and strong. The coat is short and dense. Shorter hairs as compare to Golden Retriever. These characteristics may be found in other colors. Deeper yellow Labrador puppies are often called as “Golden Lab puppies”. The cost of golden lab puppies is higher than the normally found colors like black and chocolate. The Gold color may be the result of cross-breeding, or genetics can involve. Carefully choose the breeder if you want to buy a Golden Lab puppy because he may not be pure. Your first priority should be to check the health of the puppy, a healthy puppy will live longer and his temperament will be normal. Always check the pedigree of dog before buying it, remember that golden labs are registered under yellow color. Also, check the health record of puppy. 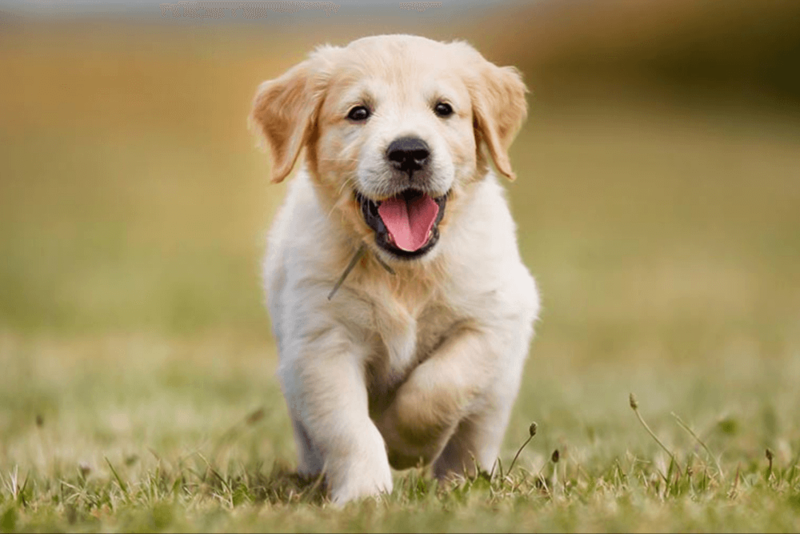 If you want to buy a golden puppy for breeding or competitions, then you should always choose it with great care, in this case only purebred is recommended. But if you just love the golden labs, then don’t care about their registration or any other problem, they look beautiful and attractive. 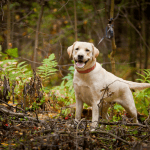 Golden Labs should be as healthy as other registered colors are and should bear all the marking points. 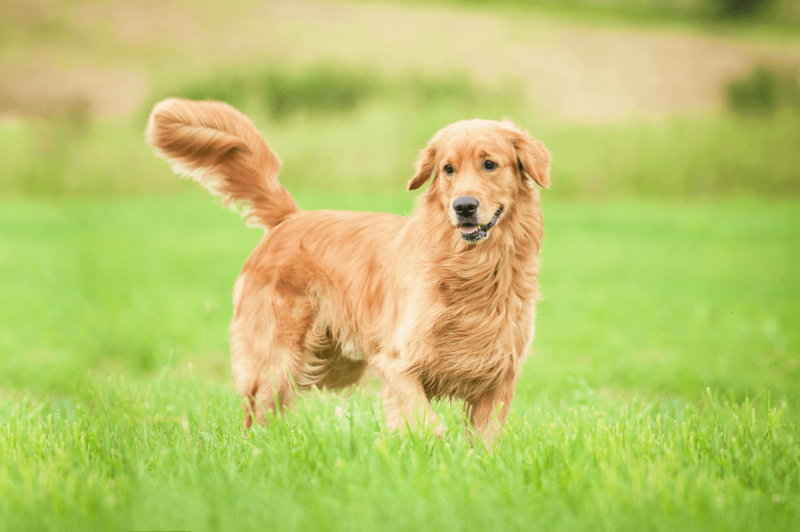 Golden color Labrador Retriever and Golden Retriever are two different dog breeds, Don’t confuse them with one each other. Labradors have short hairs and more muscular body while golden retrievers have long hairs and only found in gold color. 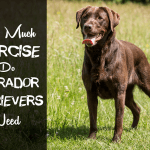 If you love the breed characteristics, then you can choose any of your favorite breeds. There is no any variety of colors available in case of Golden Retrievers. 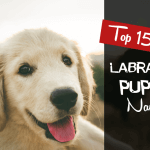 Labrador Retriever is at the top list and Golden Retrievers are placed at the third number among popular dog breeds in the USA. Choice of dog breed and color is your personal preference. If you only want a breed with gold color, then you can choose either Golden Labrador or Golden Retriever. If you have any confusion or question, please write us below in the comments.